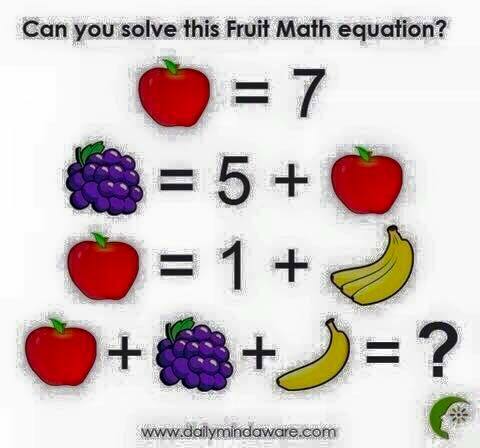 Can you solve this fruit math equation? so grapes = 12, now go ahead and solve this juicy fruit math puzzle. share it to your facebook and whatsapp friends to solve it and observe how many of your friends fail to solve this puzzle.